eGain Virtual Assistant is a lifelike, conversational virtual agent providing a unique, interactive, and personal way for users to get answers and assistance on your website, 24 hours a day, 7 days a week. It provides the frontline support so your customer service staff can concentrate on more complex tasks.A visitor to your website simply chats with the virtual assistant (also called VA, virtual agent, or chatbot). The technology embedded in the chat bot enables it to not only understand the words, but also the customer intent. The VA acts like a guide taking customers on a tour of the website, providing answers, and even helping in their shopping decisions. Provide better customer service immediately. 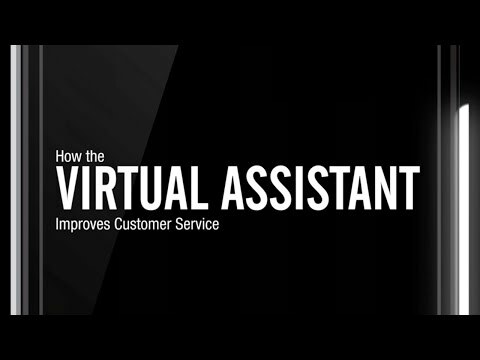 eGain Virtual Assistant can be up and running on your website within a matter of days, helping your customers and reducing the burden on your agents. Your assistant already knows how to complete common business tasks. All you have to do is teach your assistant the specifics about your company, products, and services. For customers who are already leveraging the power of eGain’s other interaction channels, eGain Virtual Assistant provides intelligent escalations for a more streamlined and comprehensive service solution. Give customers the answers when they want them. Customers can visit any website they want. If you want them to make spending decisions at your site, then you must assume responsibility for their satisfaction. Shoppers demand information and assistance any time of the day or night. They don’t want to struggle with a search engine or wait for an email response to a simple question. eGain Virtual Assistant provides a fast, interactive way for your customers to find what they want, when they want it. In providing an assistant on your website, you are ensuring their satisfaction. The assistant tells your customers: Don’t worry, I can probably solve your problem right here and now and if I can’t, I’ll get someone who can. Your assistant even recognizes when it doesn’t have the right answer, and escalates the user to an agent through live chat or email. Satisfied customers will show their gratitude for your service by shopping at your website. Provide self-service customers really use. A personable, polite, and engaging employee at a retail store is a valuable asset. Such a person can put customers at ease, offer assistance, and make them feel comfortable with their buying decisions. The same holds true for communication on a website. Customers feel more comfortable conversing with an employee than typing words in a search box. eGain Virtual Assistant can be as engaging and valuable as a human employee. An assistant has the personality and character of a human representative—one that provides entertainment and support, and evokes trust, commitment, and loyalty in users. Customers interacting with assistants have a similar reaction to people who are watching TV. They tend to suspend their disbelief and treat the assistant as if it were a real person. To reinforce and leverage your brand, you can modify the appearance, tone, and personality of your assistant to best reflect your company’s message and style. eGain Virtual Assistant projects a consistent image for your company and can aid in integrating your brand and identity into your customer communications. Every agent knows that some questions get asked more often than others. This phenomenon is commonly referred to as the 80/20 rule: A small number of questions account for a large majority of call volume. Why pay an agent to answer those common, simple questions? Why impose a lengthy queue when only 20% need live assistance? eGain Virtual Assistant dramatically reduces support costs, shortens queues, and improves the customer experience—all at the same time! Learn from each customer visit and keep them coming back for more. Some companies would have you believe that you can have a relationship with your customers by analyzing how they click through a website. If you want to know what is in your customer’s mind, just ask them. But don’t expect them to fill out a form. Ask them during a natural conversation like when the customer pays the assistant a compliment, expresses satisfaction, or asks a personal question. Shoppers like to interact with eGain’s chat bot and have the bot interact back. eGain Virtual Assistant remembers the sequential visits of your customers and can prompt users based on prior conversations. And, since your assistant always asks permission to gather information, your customer’s privacy is assured.